Essential doctrines of the Christian faith are under attack, even from within the church, and it is important that we be well grounded in biblical truths so that we may have a deep affection for our holy, triune God. 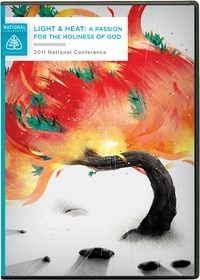 Celebrating the faithfulness of God to the work of Ligonier Ministries and Desiring God, Ligonier Ministries’ 2011 National Conference looked at the holiness of God and the way it is to inform Christian living. Featuring conference lectures by Sinclair Ferguson, Robert Godfrey, Steven Lawson, John Piper, and R.C. Sproul this collection also includes Drs. Piper and Sproul’s reflections on what they have learned in their many decades of ministry. This conference also includes optional sessions by the teaching fellows and special guests Tim Challies and Susan Hunt.